After one year of leading the City Mission, Julian reflects on how it has gone. One year! How the time has flown by since I joined the Brighton and Hove City Mission in the summer of 2014. It has been so encouraging to join such a fantastic staff team who are full of energy and bursting to get going. We have worked on so many areas of the City Mission, updating literature and streamlining what we do. You will have hopefully seen our new yearbook, info packs on each of our departments, and legacy and fuel aid leaflets; all of which look amazing and up to date. We have also redesigned our website. On a ministry front we have also expanded and changed, growing from eight to ten staff, five of which have been made full-time. All of our four teams have a clear focus on serving the city, the church and Christ. Our Schools team is expanding to set up a training and resource centre in Brighton for Christians in education. They plan to offer training for churches and church workers, where appropriate. 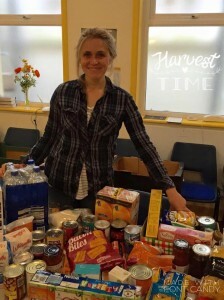 Our Brighton Food Bank team are facilitating a faith-based forum for Christian food banks in the area, as well as including a wider group for Christians working within social depravation. Our Rest Homes team is adding a focus, offering one-to-one pastoral visits to rest homes with local church members. Our Life Stream team is also reaching out to local churches already specialising in ministry to women to ensure we are working together, and so that we can gradually, where appropriate, then feed our clients into these churches. I feel blessed to be part of this amazing team, and let me tell you – we haven’t stopped growing! There are many more exciting dreams and visions to, hopefully, be made into reality for next year and the years to come! 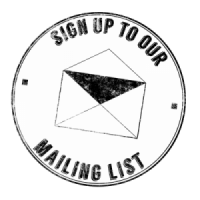 Join us on our journey by clicking on the image below to subscribe to our mailing list. Harvest 2015 is now very much underway, as we have seen amazing generosity from organisations, churches and schools all the way across Sussex. Firstly we would like to say a massive thank you for all items that have been donated thus far! 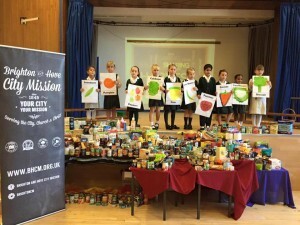 Secondly, if you are an organisation, church or a school who would like to donate to our Brighton Food Bank, please contact 01273 695330 or alternatively e-mail foodbank@bhcm.org.uk. 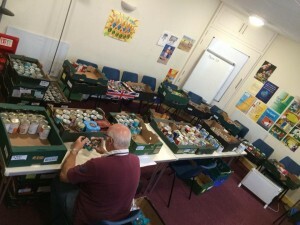 The Brighton Food Bank also have a Facebook page, please click here to view the page, and don’t forget to ‘LIKE’ it too! 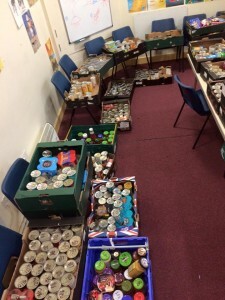 The team will post items of food that they are short of over the year, so if you would like to become a regular supporter of the Food Bank it is a great place to start. Kerry has been with us for just over a month and we caught up with her and asked her how she has been getting on. “The month has flown by and my feet have barely touched the ground but it’s been great getting to know everyone here at the City Mission in the different teams. Harvest time has fully arrived and the office is buzzing, in order get to know the schools better, I’ve been going into some of the Harvest assemblies to say thank you to the children. Receiving food from them for the Brighton Food Bank is a joy and its good to let them know that this will all help local people of Brighton and Hove. Getting to know the areas of Brighton and Hove is all helpful preparation as we are now ready for our Harvest Presentation. We will be performing up to 25 assemblies across the Infant, Junior and Primary schools of Brighton and Hove. 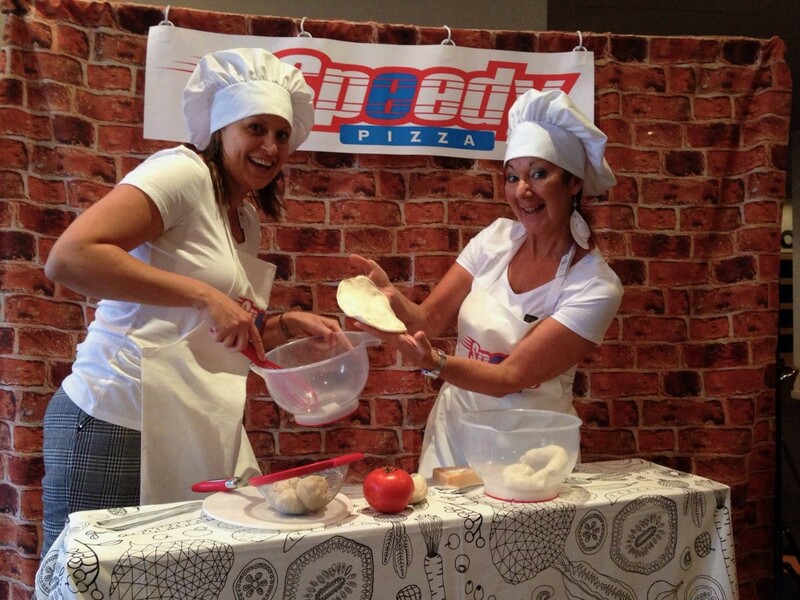 There, we will get an opportunity to share a fun Pizza shop sketch that’s engaging and illustrates being thankful and appreciating the food that we have. Hopefully this will enable the school children to grow compassionately for others in greater need.